Congratulations To Our Pour Some 80s On Me Winners! Check Out The Rad Pour Some 80s On Me Photo Album! 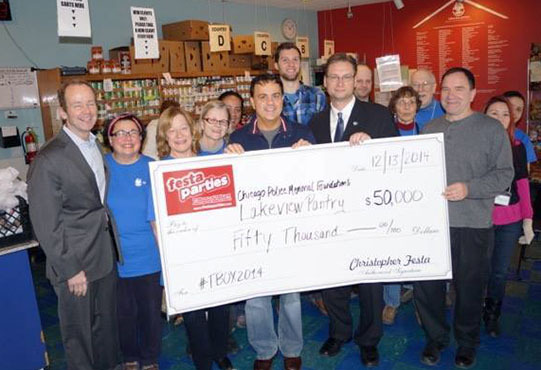 Festa Parties & TBOX Donate Over $175,000 To Chicago Charities! Festa Parties is proud to contribute positively to the Chicago communities in which we live and work. Thank You, our friends and customers, for making it all possible! Thrillist Rates ‪#‎TBOX‬ the #2 Thing to Do in Chicago Before You Turn 30!